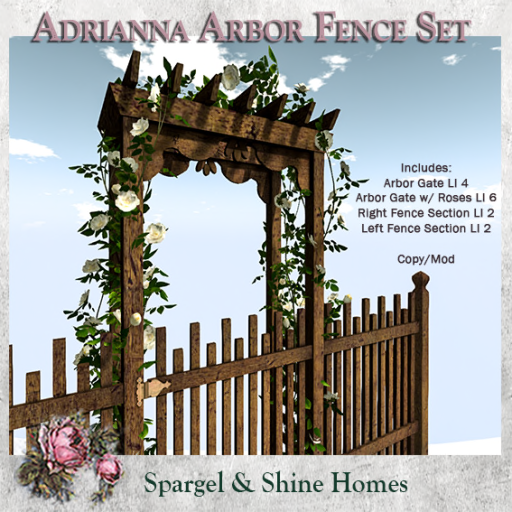 Spargel & Shine Homes brings this detailed Arbor Fence Set for the Autumn Harvest Hunt. It’s sweet and prim friendly. A beautiful way to make your landscaping sparkle !